Under a new rule that goes into effect January 17, 2017, applicants in certain eligibility categories applying to renew an Employment Authorization Document (EAD) can continue to work for up to 180 days while their renewal application is pending. If you’re applying for a renewal, you can find out if you benefit from the new rule here. If you qualify under the new provision and your EAD expires while your renewal is pending, you’ll need to update your employer regarding your continued eligibility to work. Unfortunately, although the new rule is very clear about the steps that should be taken in this situation, the Form I-9 (which is used by all U.S. employers to verify the employment authorization of its employees) and its accompanying handbook have not been updated. This means that employers and Human Resources professionals may not know about the new rule that authorizes you to continue working, and they may not know how to update your Form I-9, Employment Eligibility Verification. What documents can you provide to prove your work eligibility on Form I-9? The new rule specifies that your expired EAD in combination with the Form I-797C Receipt Notice will serve as acceptable “List A” evidence on your Form I-9 as proof of both identity and employment authorization.You should provide your employer with the Form I-797C Receipt Notice for your pending EAD renewal application and your expired EAD, so that your employer can update your Form I-9 as necessary. Remember that this work authorization is only valid for 180 days, so you’ll need to provide your employer with your original EAD renewal card when your application is approved. What if your employer hasn’t heard about the new rule authorizing you to continue working? If your employer hasn’t heard about the new rule, then you may have a hard time convincing him or her that you are, in fact, authorized to continue to work. If you find yourself in this situation, one strategy is to provide your employer with a copy of the relevant section of the rule. 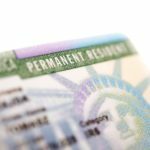 The problem with this approach is that the rule is really long and includes numerous provisions that have nothing to do with the 180-day automatic extension of employment authorization for qualified applicants with pending renewals. Ultimately, if your employer does not understand how to re-verify your employment authorization, you’ll need confidently assert your understanding of the new rule and suggest that your employer verify your authorization with in-house or outside counsel.